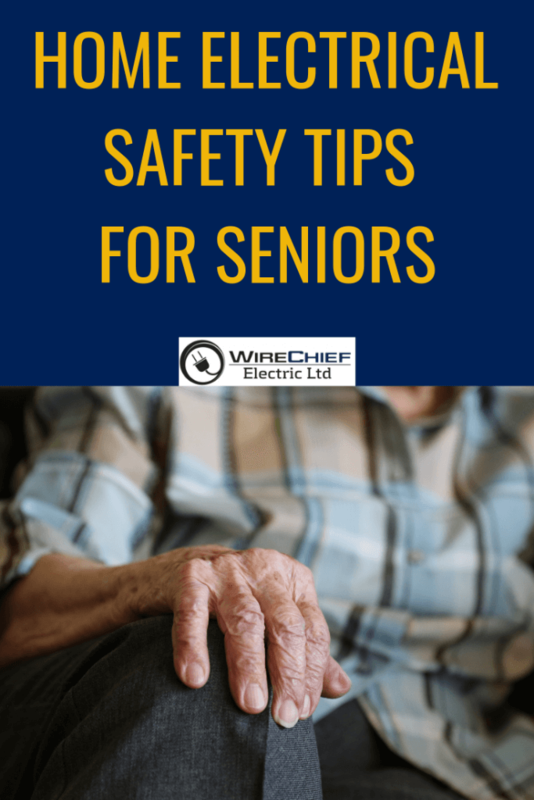 It is important to understand the physical challenges some elderly people face that could make the home potentially dangerous. Aging brings changes and affects each person in a different way. Some seniors experience physical limitations that critically affect their level of activity while others are able to remain fairly active. The natural process of growing older, however, normally includes some changes in abilities. Eyes take longer to adjust from dark to light and vice versa, and become more sensitive to glare from sunlight or unshaded light bulbs. There is a decline in depth perception that can make it hard to judge distances. Perceiving contrasts and colours can also be more difficult. Hearing loss can result in difficulty hearing telephones, doorbells, smoke alarms, etc. ; it can also result in a decrease in balance, which can make falling more likely. Being aware of the normal changes of aging allows you to plan for home and lifestyle adaptations that will help you retain your health, quality of life and independence. Have an adequate number and type of outlets. So, it’s important to take special care when working in the kitchen. Follow these tips to stay safe! Make sure the kitchen appliances are turned off after completing the cooking process. When not in use, simply unplug the toaster and other counter appliances. Never try to use a stove or an oven to heat up the house. Poor lighting can lead to increased trips and falls. Well, to avoid this and increasing the safety, make sure there is enough lighting. Fix more lighting sources along the stairs, hallways, and corridors. Make sure there is enough task lighting in the kitchen above the countertops, the sink, and the main cooking area. Install night lights for bathrooms, hallways, and toilets. Ensure stairway lighting has an option of a two-way switch, one at the bottom and the other at the top of the stairs. Make sure all the halogen downlights are swapped to LED s to cut off the fire risks. It’s important to install all light switches close to the doorway, so they can be turned on prior to enter the room. Install motion-activated lighting in the pantries and cupboard, so as to make it simpler to see the things placed. For a better solution, replace fittings and lamps with motion sensors to the existing light switches. Do seniors only need the interiors of the home to be safe? What about the exteriors? If the interiors are so focused on safety, don’t forget the exteriors. Ensure that all the exterior doors are properly lit, with motion-activated lighting to make it easier for the elders to move around outside the home in the evening. The driveways should be well lit so that the seniors can walk independently during the evening. Make sure the stairs have enough lighting so that seniors don’t lose balance while walking up and down the stairs. 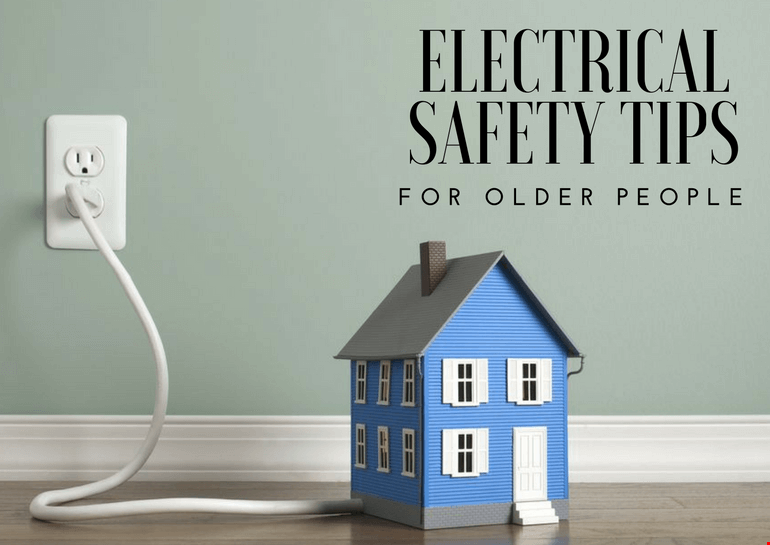 Just like the furnace, roof any other component of the home, components of an electrical system can also wear out over time, but good electrical safety practices can help the seniors from the uncertain incidences. A slightly shocking effect when touched to any electrical appliances. Recurring problems noticed with trip circuit breaker or blowing fuses. Sockets making a buzz or crackling noises. 2. 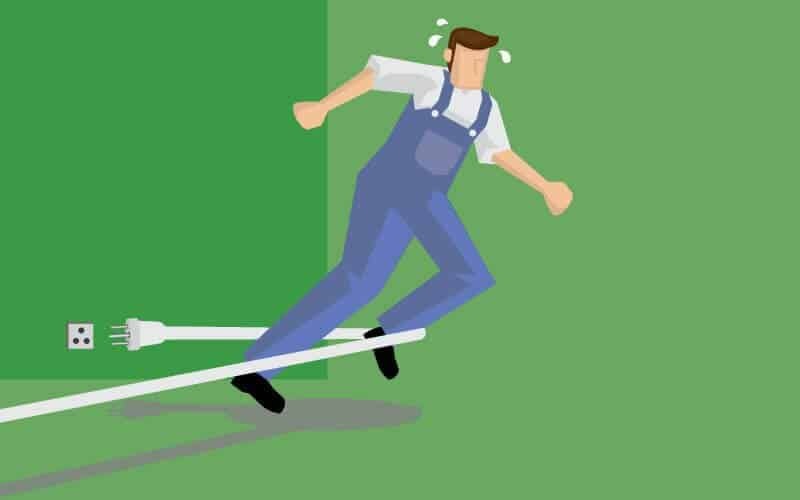 Never run the electrical cords under the carpets or rugs. 3. Make sure to have a professional electrician to perform an electrical inspection to check the electrical devices, receptacles, switches, electrical panel for any signs of electrical hazard. 4. Make sure there are smoke alarms installed in every bedroom and levels of the home. 5. Check all the electric blankets and heating pads regularly. 6. Make sure the electrical panel have been updated to a combination panel. Do all your entrances have an outdoor light? Is the number of your house clearly visible from the street and well lit at night? Are all rooms and hallways in your home well lit? Are your stairways well lit and do you have light switches at the top and bottom of the stairs? Do you have a smoke detector on every floor of your home? Do you test your smoke detector every six months? If you use a space heater, is it placed well away from flammable substances and materials? Do you use appropriate power bars to prevent overloading electrical outlets? Is there a light switch near the entrance to your bedroom? Do you have a lamp or a light switch near your bed? Are your workroom and laundry room well lit?